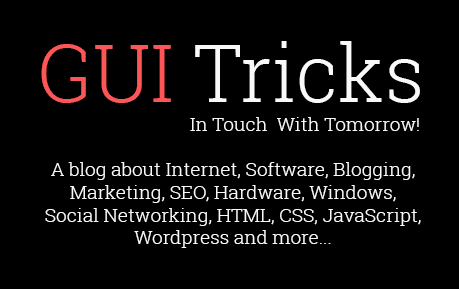 Best Privacy And Security Extensions For Chrome And Firefox | GUI Tricks - In Touch With Tomorrow! Best Privacy And Security Extensions For Chrome And Firefox - GUI Tricks - In Touch With Tomorrow! Privacy and security is now most important, if you are an internet user. Nowadays, no one is safe and secure, especially on the internet. People surf the internet regular, but never think about their privacy. If you know, according to an intelligence report, online crime I mean Hacking and spamming is now growing very rapidly. People are being victim and facing troubles. So in this case, everyone should have to consider about privacy and security while surfing the internet and if you’re a Chrome or Firefox user then you are very lucky. Because these browsers have lots of helpful extensions or add-ons. By using them, you can easily make yourself as a safe person and can say confidently that no one can put you in trouble. Actually, by publishing this article, I just want to increase awareness in people about online hacking or spamming and wanna force to people that please think about it. Try to be safe yourself and always attention, while surfing the internet. So as I said in first paragraph that if you’re a Chrome or Firefox user then you are lucky because these extensions or add-ons. So some of the best, useful and recommended extensions, I shared below. Must try them and share your own opinions about them. The most successful browser of the 21st century is Google Chrome. This browser has seriously lots of extensions on Google Play Store. So everybody can easily get and use as wish. Here are some extensions for Security and Privacy. Read reviews about them and choose your best. If you ever noticed that sometimes when you visit any website then it requires to login your account. So, it’s a very risky moment and difficult to decide that you should login your account or not? Because all websites are not able to trust. So in this situation, PasswordFail helps and guides you to know about such websites that is this a malware site or any hacker is handling. Even any trusted website already hacks then Password alerts in this condition too. I hope, by using this extension, you would get help and would be able to know about hacking or spamming sites. View Thru is an active extension which alerts you suddenly when you open any malware site or any malware site opens and you don’t know about it. Bit.ly or tinyURL are such URLs which shows site’s original URL, when site opens completely. So, before clicking such links, you don’t aware that which site will open. You don’t know though, but View Thru knows everything about it. It knows that which website is fine and good for you. It helps to detect malware sites and guides you that you should open it or not. So must try it. Because this extension can safe you any type of big upcoming trouble. If you’re a regular internet surfer or blogger and you visit lots of websites in a day then ‘Web Of Trust’ is for you. WOT helps to make you safe as much as possible for it. When you enter in such website even you don’t know about it then in this situation this extension helps you and informs about surfing website. I know, any anti-malware can also do this work. But for that you’ve to download and install an anti-virus that may take too much time as compared with Web Of Trust. I my views, everybody should have AdBlock especially where kids use the internet. AdBlock helps to simply block ads on site and hide them. You know what, sometimes website admins place sexual related ads for attraction and money, that’s wrong or harmful for kids in teenage. So, must install AdBlock extension in your Chrome, if your kid, younger brother or sister surf the internet. Not just in my views, we all know well that Firefox is the second best browser today. It has also best add-ons for privacy and security. So must try them, if you use Firefox as a default application. AdBlock Plus is the advanced version of Chrome’s AdBlock. Although, both versions are very similar, but due to the some features on AdBlock Plus, it makes a difference between them. As I said in Chrome’s AdBlock paragraph that it helps to prevent Ads of the site. Nowadays, it has become necessary because admin of sites are placing such sexual and adult ads for attraction, so that’s why we have to prevent from them and AdBlock Plus will help to prevent them. Similarly, if you ever download any software or application, so sometimes these types of ads also show download option and get attraction opportunity from this way. Suppose if a user click on it then two things will happen. First software definitely won’t download because it’s an ad not an option provided to download and second by clicking on this ad, you will be reached out to spamming or malware site which can easily put you in a big trouble. So that’s all reasons to use AdBlock Plus. So please if your kids and your younger brother or sister use your computer to surf the internet, then install this extension. Because if you don’t do it then it would be very harmful in this teenage for them. BetterPrivacy is a very good add-on for you, if you are a social marketer and do social activities on the internet. I’ll recommend this extension especially to the bloggers and internet marketer. Because normally bloggers and internet marketer don’t log out or sign out their account. Because they have to use them again after an interval of time. That’s why. So you know anyone can locate IP easily. So once the IP address located then any hacker will definitely do his illegal activity and try to hack logged accounts. So that’s the reason and this is why, we should use BetterPrivacy add-on. SpamAvert and View Thru are almost same. Both work same. SpamAlert also alerts you like View Thru when you enter in any malware site. It guides you before entering in any site that you should open this or not? So that’s the reason and that’s why this extension is now must have extension for every user. As we know, the world of the internet is growing its foundation very fast. Lots of websites are developing nowadays. But all sites are not able to trust. That’s why we need to have a guide now and nothing is better than SpamAvert. The Hidebad Firefox add-on offers a looking free for all catch that immediately close every open tab in your project and replaces them with your presentation page. It stops snooping spies from knowing which site pages you were basically surfing, which may be the most basic security measure of each one of them. So guys, these are some very helpful extensions for both the most popular browsers, I mean Chrome and Firefox. Every user should use them for privacy and security. That as I shared reviews about them, hopefully after read them, no one would be doubtful about them. So try them and give your opinions via below comment section. If any other else extension is best in your views then forget to share with us. I am glad to find such a resource which is very informative. Nice Post Keep It Up!